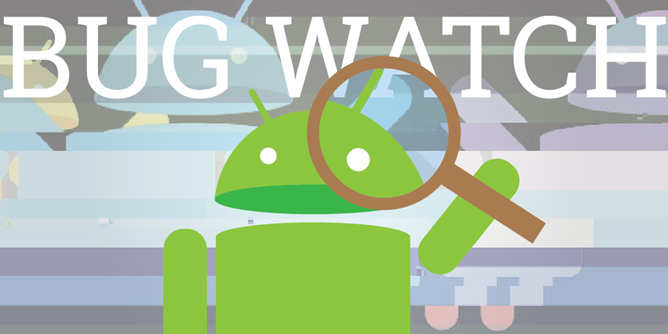 Google's hot new item, Android Wear, is barely out of the box, but there's already a pretty big issue deserving of a place in our Bug Watch series. The initial rush of native Android Wear apps is starting to roll into the Play Store as developers get their hands dirty with the freshly released SDK. So far, most of these apps have been given away at no cost, but the few that have attempted to charge a fee have run into a wall. It seems that paid apps on the Play Store are incapable of installing Android Wear components to a device. 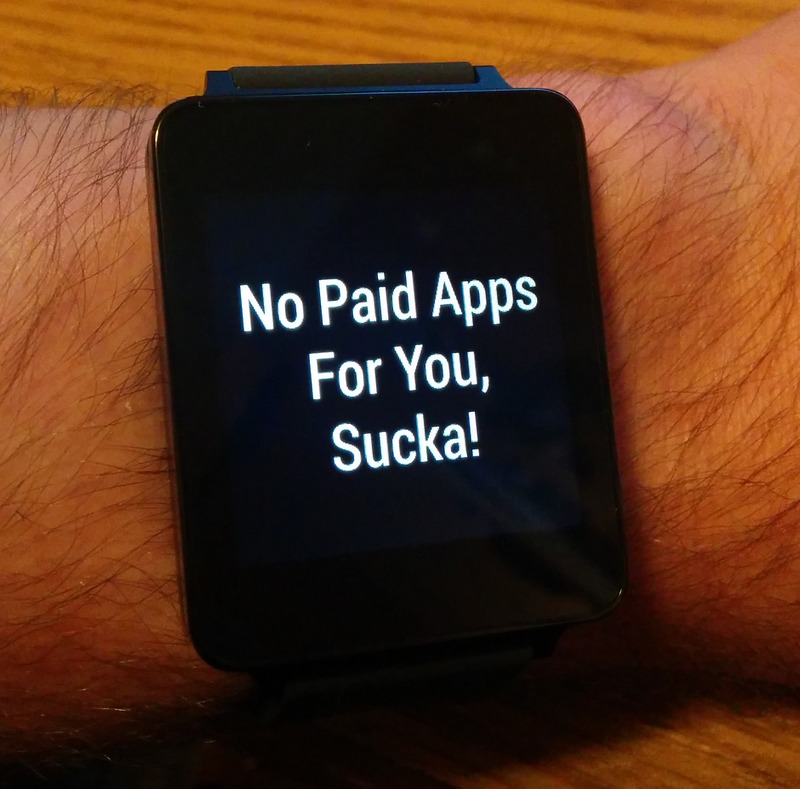 Unlike most Android devices, the app installation experience for Android Wear could be described as very codependent. Instead of pulling up a bunch of Play Store listings on a screen barely larger than your thumb, Google has organized it so the apps on your phone will install their own micro-sized companions to your watch. When a regular Android app is downloaded from the Play Store, it is checked for a Wear-compatible app, which is then installed over Bluetooth to the paired watch. The process is completely automated, and aside from manually side-loading apks, it's currently the only supported way to install apps to Wear. Paid apps introduce a complication in the form of App Encryption. First announced at Google I/O 2012 alongside Jelly Bean 4.1, App Encryption was added to the Play Store to encode paid apps with a device-specific key, making them more difficult to crack or transplant by would-be pirates. Despite some early issues that lead Google to temporarily take App Encryption offline, it has gone mostly unnoticed since it was re-enabled. That is, until now. It seems the Android Wear install process runs into a road block with paid apps because it doesn't know how to extract the file of the encrypted apk. Since the installer fails to recognize the payload, it assumes there is nothing to install and silently aborts. This behavior appears to match another known issue that occurs if the Wear app is compressed more than once before it is published. Information about this behavior began to surface over the last couple of days from a few different sources - most notably after the release of an app called Phone Finder by redthunda69 and a custom watch face by Daniel Ward (the issue was diagnosed by Kevin Barry of Tesla Coil). Since this bug was exposed less than 48 hours ago, which happened to be during a weekend (also a holiday weekend in the United States), it's not surprising that Google hasn't made any public comments regarding this bug. Still, it's likely that a fix will become top priority. When a fix is rolled out, it's likely that it will be in the form of an update to either the Google Play Store, Google Play Services, or the Android Wear companion app. Depending on the complexity of a fix and how quickly Google became aware of the problem, updates could be ready to roll out in as little as a few hours, or it may take several days. It might be possible, albeit very unlikely, that a server-side fix could set things right without changing anything on our devices. Determined developers should also be able to work around this issue by releasing a free app to the store containing the Wear micro app, and then collect money using either in-app purchases or selling an unlock app. Neither of these solutions are ideal, but they should be suitable workarounds to avoid automatic encryption by the Play Store. In the interests of saving some development time, it might be best to wait for an official response from Google before moving forward with one of these options. Ok, Google kinda blew it with this one. Malfunctioning paid apps are a pretty huge oversight, and a few of Google's people are probably going to be a bit embarrassed by this, but it's nothing to get angry about. Only a handful of paid Wear apps even exist and the discovery was made very quickly. This bug is just another sign that a few things in the Android Wear release were rushed and may not have been fully tested before launch. At least it was discovered before most people will even receive the first run of shipments. Until things are worked out, it's probably best to avoid spending money on any apps specifically designed for Wear. Hopefully, we'll see something by the end of the day, but we should be prepared to wait for quite a while. Keep checking this page for updates, we'll be posting new information as we receive it! Update [July 8th]: Google has posted a workaround to the Android Developers Blog and announced plans to update Android Studio and the Wear developer documentation in the near future. Good job on the quick turnaround!